Welcome to the Monday Challenge for Buffalo Stamps and Stuff. Just couldn't let July end without doing a "Christmas in July" card! 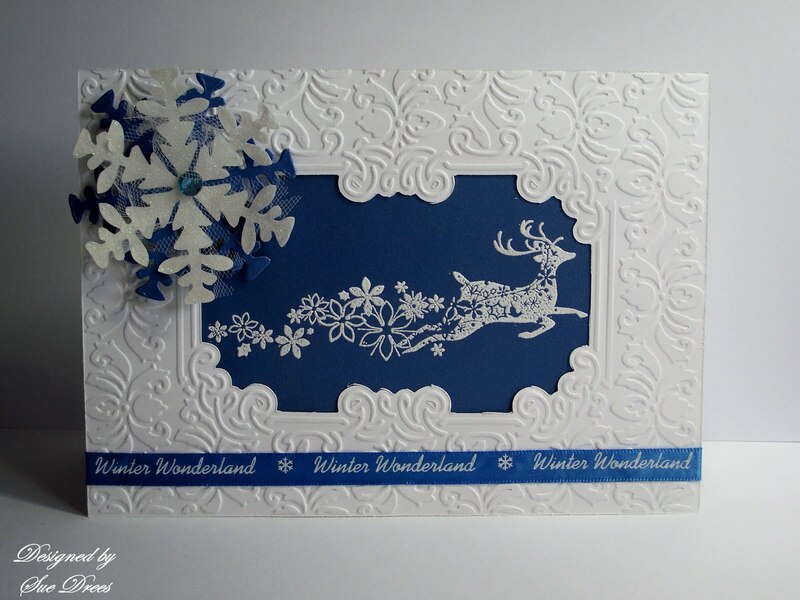 This is a simple, elegant card, mainly due to the beautiful embossing folder. The Cuttlebug Embossing Plus folder, with the center cutout is the best invention since the embossing folder. It's 5x7 in size and comes in a clear acrylic folder. You simply put your paper between the two metal layers and run it through your die cut machine and it cuts and embosses in ONE PASS! I LOVE THEM! I stamped the image of the deer, by Inkadinkado onto shimmer blue card stock with clear embossing ink and embossed in white. Adhered to the back of the embossed piece and adhered that to a 5x7 card. The snowflake is a cuttlebug die and embossing folder combo. I cut one out with the shimmer blue and one with glittered white and two with tulle material in shimmery white. 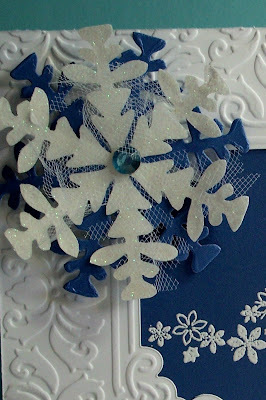 Glued them together in layers and added a blue rhinestone to the center and popped it up on the card. Added ribbon from my stash and there you have it. This is very beautiful and elegant, Sue! Very pretty Christmas card! Have a great week and stay cool! Oooooh my - I LOVE this - I'll be looking out for this gorgeous folder in the store! LOVE your classic look card - just beautiful! what's this? Something new I don't have? I couldn't possibly make something as elegant as you did with it though! 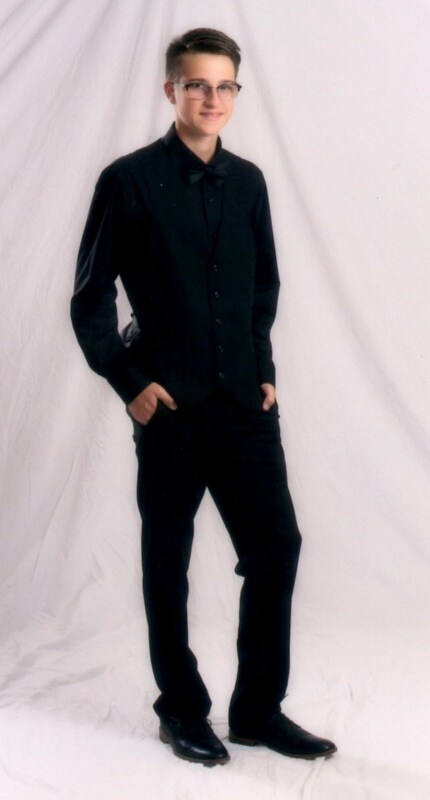 this is simpel elegant sue. it's very lovely, love that white deer. ...and that snowflake - wow, it's gorgeous - great effect. OHHhh wow Sue, such an elegant card. Love it.